The arachnid-infested Manhattan is making a return to Battleworld this July. Your new look at Spider Island #1 will be a double does of eight-legged madness brought to you by not one, but two creative teams. 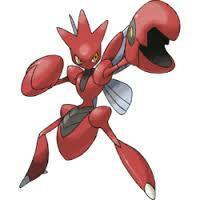 Scizor, the Pincer Pokémon and the evolved form of Scyther. Scizor’s wings are used to regulate its body temperature, and it intimidates foes by raising its eye-patterned claws high in the air. War never ends. Coming to you this July from the minds of chart-topping creators Charles Soule (Death of Wolverine, Inhuman) and Leinil Yu (Avengers) comes a new look at Civil War #1. In a short period of time we have lost several great actors and people. From Robin Williams to Leonard Nemoy, today though, above all, we have lost a true legend of both the cinematic and musical world. Christopher Lee, a man whose career transcendes decades, bisects some of the best and worst moments of humanity has passed away at the age of 93. I don’t think anyone in the world can provide a fitting tribute to a man who has entertained and inspired generations of people to do what they love, by nothing more than how, he himself, loved what he was doing and I think that is, in and of itself as good a tribute as can be paid to a man Such as Christopher Lee. At this point, usually you would see a list of Lee’s top films, but I won’t be doing that. I see a list like that, on an occasion such as this as a tad insulting. Instead, I implore everyone out there, to watch and listen, to consume as much of Christopher Lee’s work as you can and be inspired by it. 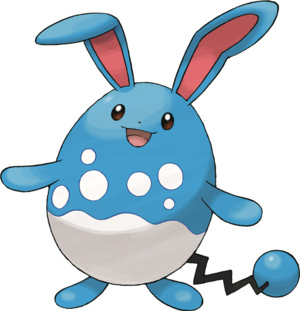 Azumarill, the Aqua Rabbit Pokémon and the evolved form of Marill. Azumarill’s ears are superb sensors that can distinguish the movements of different objects in water and determine what they are. With the WWE heavily hinting that Arrow’s Stephen Amell is the next celebrity to set foot in the squared circle, it seems only fitting that we look at the 5 most notable celebrities to set foot in a WWE ring in some capacity or the other. This is just WWE guest appearances; if we were to include promotions like WCW that’s when things get surreal with celebrities ranging from Jay Leno to Robocop (I wish I was kidding! ).